Anyway, I'm back and I propose you a software developped by myself. 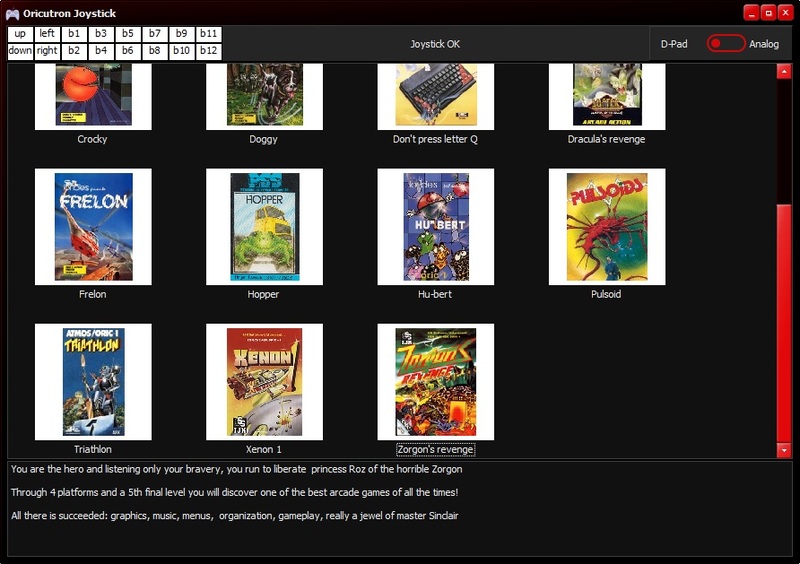 It is a frontend for Oricutron that permit you to play with a joystick or gamepad. Everything is in the readme. Last edited by waskol on Tue Oct 16, 2018 4:17 pm, edited 3 times in total. I updated Oricjoy, forcing windows of oricutron and oricjoy to top most windows. Link updated for v1.5 in first post.